A stunning barn is only achieved in the details. If you look closely at the photo below, you can see the quality. Among other features, these specifics are what make our stall doors easy to maneuver and ultimately create a better life for you and your horse. The tightlap advantage of our panel ensures a tighter seal to avoid leakage. It also provides a cleaner look. 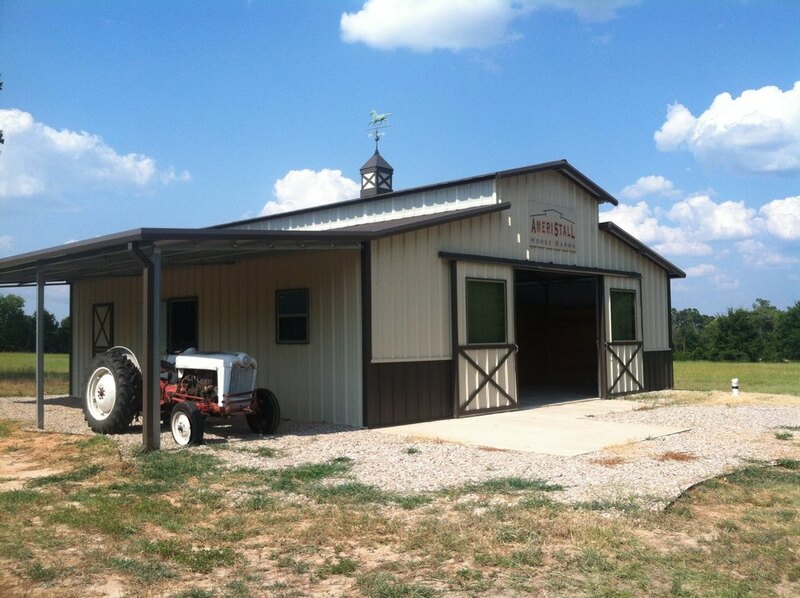 This is just one example of the ways our barns stand out from the rest. We manufacture our materials, so we can be sure you get the quality we promised. You deal with the same company from start to finish. The leadership here at AmeriStall instills a passion for integrity in every aspect of our work, whether in the office, on the phone, or on the job site. We are all working toward one goal. We all want the same thing, a job well done from the get-go. You can put us to the test. Read Our #1 Standard, a word directly from the AmeriStall leadership, Adam and Julie Steck. We love to hear the personal stories of our barn and metal building owners. It's in hearing what the building facilitates that makes our work so inspiring. We truly believe we sell more than metal here at Southwest Metal Systems. These buildings are your homes, your hobbies, your vision, and your purpose. Let us help you build your dream this year. You can read submitted testimonials here. We also have a display barn on location. To set up a tour, please call 1-888-234-BARN and set up an appointment. Our office staff is happy to answer any questions you have regarding your building options and any future plans you have to make your dream a reality. You can share your ideas in the comments below. Have you "liked" us on Facebook and followed us on Instagram? You can request to receive our quarterly E-Newsletter by emailing us at barns@southwest-metal.com.